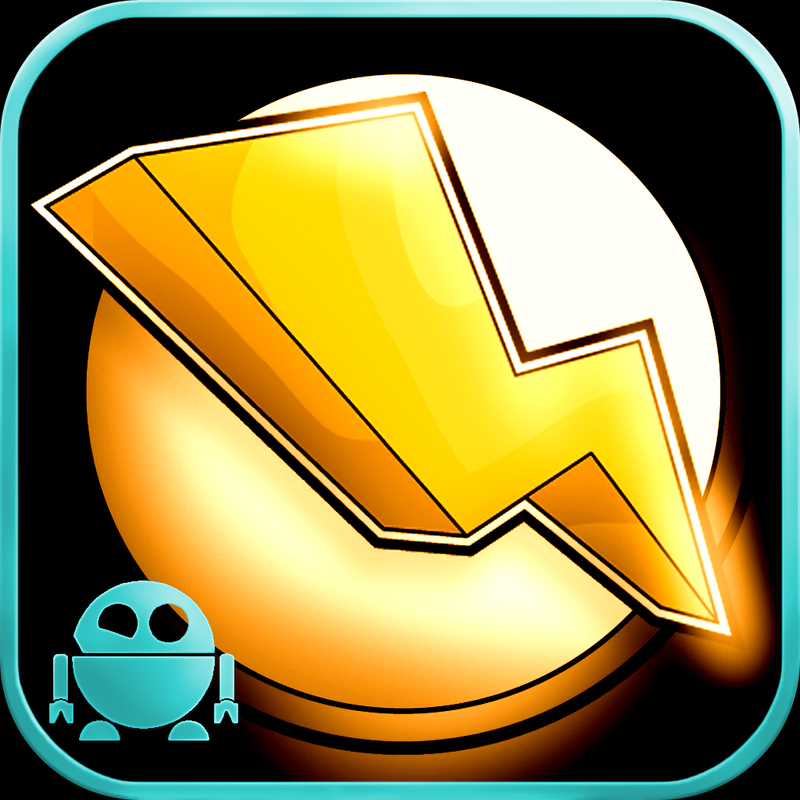 Bolt by Happsan (Free) by Qalixa is a numbers-based multiplayer game where the player with the best calculating skills has the advantage. 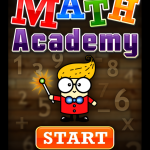 Determine the best solution out of three numbers to earn the most points and win the game. 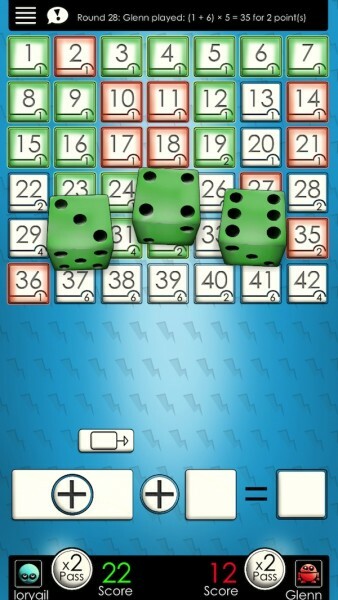 Players start by rolling three dice. The randomly generated numbers are placed in three spots on an equation line. You can rearrange individual numbers and sets of numbers to determine the best solution. You can also pick between addition, subtraction, multiplication, and division for the two calculations in the equation. For example, an equation line might look like this: (3 + 4) – 2 = 5. The best number to earn the highest points is not always the biggest one. 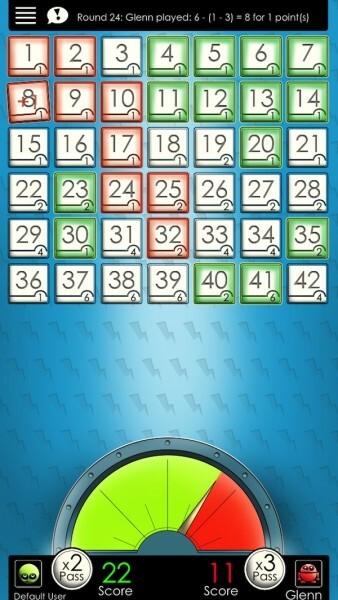 The game features a grid of numbers ranging from one to 42. Each number has its own point score. For example, the number 31 is worth four points, but the number 32 is only worth two. When you calculate your dice roll, you will want to find the number that offers the highest points. So, if you can make a 36, but it is only worth one point, or a 22 worth two points, choose the 22. To choose a number, tap the solution in the equation line or find it on the grid and select it. Once the game has started, players can also earn extra points by stealing numbers from their opponent. For example, if your opponent has the numbers 15, 16, and 22, you can earn extra points by choosing the number adjacent to all of them; the number 23. Not only do you earn the total points for all three of the numbers, but you also reduce your opponent’s score by that amount. 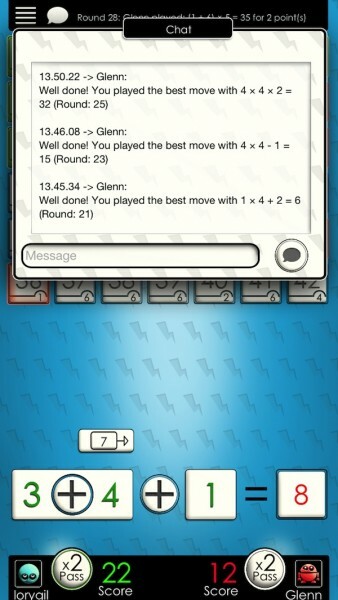 The game can be played solo against the artificial intelligence opponent, Glen, or by playing against another person in a pass-and-play game. You can also play against others online through an in-game random player generator. At first, I was unimpressed with this game. I mean – it seemed so “mathy.” However, once I started to understand the strategy behind it, I realized that this game is a lot of fun, and somewhat addictive. I couldn’t put it down. 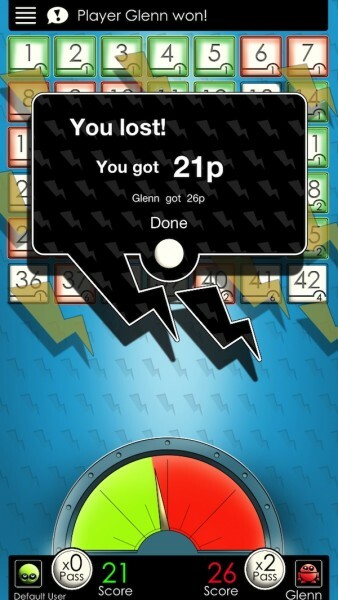 Bolt is like Words with Friends for people who like numbers. It isn’t really about math. You aren’t doing calculations in your head, the game figures out the totals for you. You are actually trying to figure out the best score by rearranging where the numbers and symbols go. The only problem I have with the game is that there doesn’t seem to be a way to invite your friends to play and you can’t choose who your opponent is in online mode. I know a lot of people that would really enjoy this game, but I can’t just send them an in-game email inviting them to play with me. The only option for online multiplayer is to play against a random opponent. This lack of options will be the downfall of the game if they don’t incorporate better Game Center and player invite capabilities. You don’t have to like math to enjoy this game. You only need to be able to think of ways that numbers can be calculated differently. The game is free to download and you don’t even have to give up an email address to register and play against online opponents. Download it for free and see how good you are with numbers.